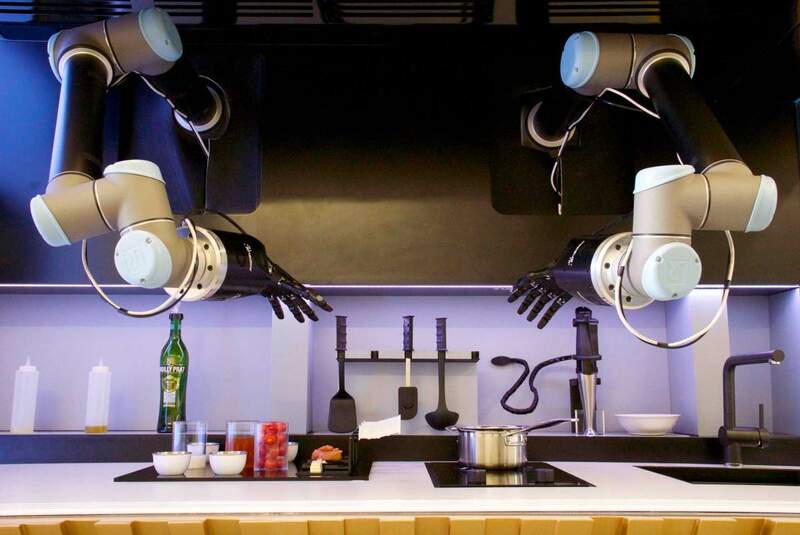 The Shadow Robot Company has been perfecting its robot hands for almost two decades, but it took just a short demo by the world’s first robot chef last month to propel this small, London-based startup into the global limelight. Despite the chef’s obvious attractions, Robohub’s Adriana Hamacher wanted to delve deeper: to discover what future robot hands have in the manipulator market and why they could soon turn up in a strawberry patch. 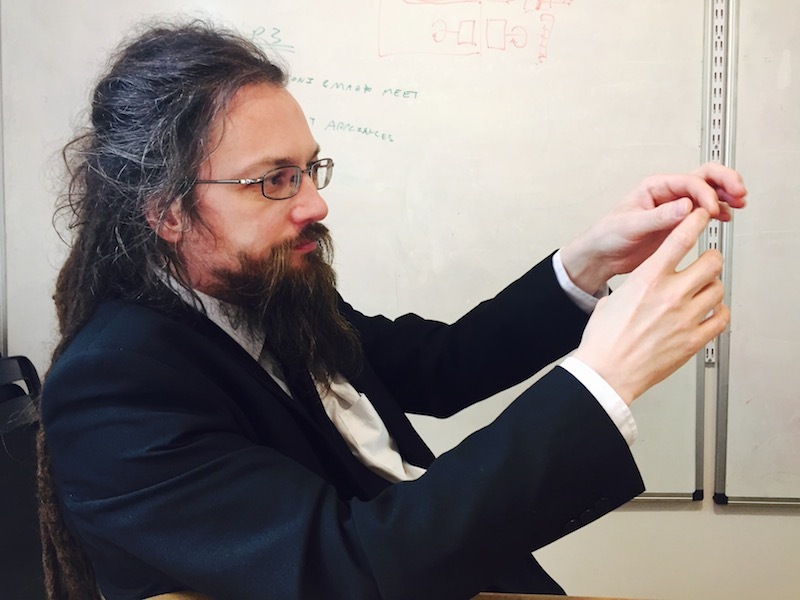 With his waist-length dreadlocks and goatee, Rich Walker certainly stands out at the funding and robo-business events, where I’ve often bumped into him. His workshop is just down the road from my house, so when the robot chef was unveiled at Hannover Messe last month, cooking up a storm for the world’s media, it seemed like a good time to pay Rich a visit. Despite its prowess at making crab bisque, it’s fair to say that the robot chef is defined by its highly sophisticated manipulators – the “Dexterous Hands” in which Shadow specialises. 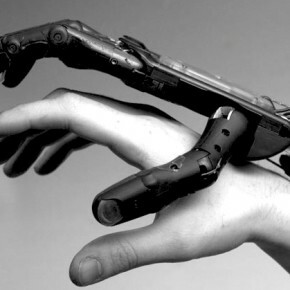 But the project is actually a collaboration between Shadow and Moley Robotics, the company funding the venture. 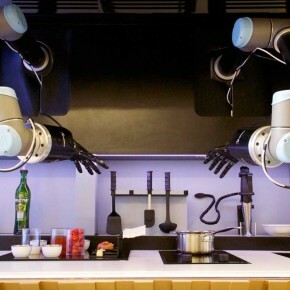 Last year, in order to fulfil his vision of creating a chef replicator, Moley’s Russian-born founder, scientist and engineer Mark Oleynik, went on the hunt for a company to build the hands for his robot kitchen. He found there was a fairly short list, and it really only came down to one company: Shadow. “What we built was almost a classic piece of industrial automation,” says Rich, taking up the story. “It’s a couple of robot arms with tooling on the end to be able to interact with a set of well-defined, fixed objects and perform a complex procedure with them. It just happens they’re in a kitchen, the tooling is a pair of fully human-like robot hands and the procedure they’re performing is cooking a crab bisque – it takes 26 minutes. The things you start with are not nuts and bolts and metal flanges, they’re chopped garlic and chicken stock, and the end result is a bowl of soup, plated up exactly as a chef would do it. The now infamous crab bisque recipe was prepared copying the exact movements of 2011 BBC MasterChef winner Tim Anderson. The robot switches on a hob, scrapes butter into the pan and adds prepared and measured ingredients – from a specific place on the worktop. But, it doesn’t do the chopping… That, says Rich, is an AI problem. For Rich, corner cutting or finding ways around the problem is second nature, as becomes increasingly obvious in our conversation. Not only is he able to solve problems, he’s also able to turn them to his advantage. 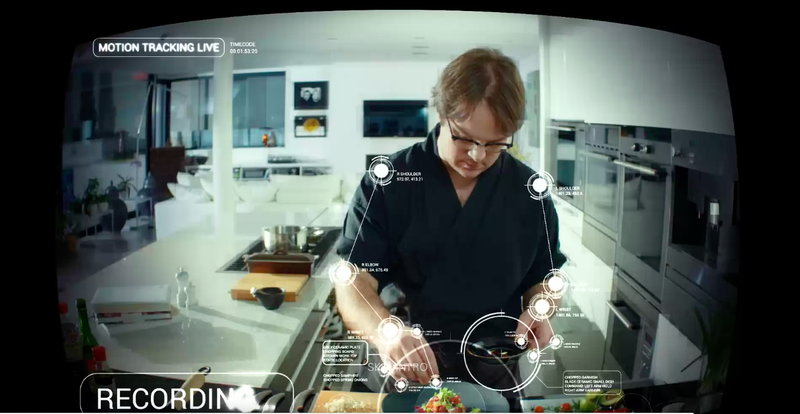 Rich believes that supermarkets will want to supply ingredients for the robot kitchen – at a cost, of course – and it’s already becoming common to see chopped salad, vegetables and meat on a shop’s shelves. Even without the chopping there’s still a lot to do, to get the chef ready by 2017 and by far the biggest challenge is that something like this has never been done before. The team is also looking at equipment options and trying to keep costs down. 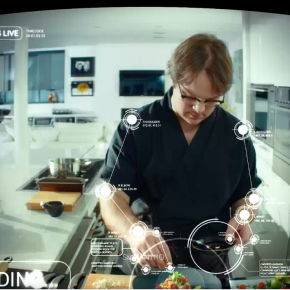 But there’s no denying that at around £10,000 ($14,000) – the robot chef will have a hefty price tag, although it’s effectively a complete kitchen, comprising an integrated oven, hob, dishwasher and sink. 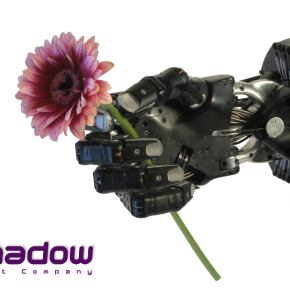 The market for consumer and office robots is predicted to grow at a CAGR of 17% between 2014 and 2019, seven times faster than the market for manufacturing robots, so does Shadow’s boss think it’s an area ripe for disruption? “It’s interesting that domestic robotics has been the thing that inspires people,” says Rich. “But there’s never been anything above the level of the vacuum cleaner. Part of the reason for this is that, when you talk about unstructured environments, homes are about as unstructured as you can imagine. They’re full of random things, things are never where anybody left them, there are small animals running around, there are children, there’s jam – all kinds of things that are really difficult for a robot to see, interact with and understand. And it’s very hard to paint a white line around it and say ‘nobody cross that white line while the robot’s running.’ A factory’s actually a really nice clean, safe, structured environment, when compared with a domestic one. Rich Walker started off as a computer scientist and joined Shadow in 1989 to write software for robots, but he discovered the robots needed building first. He now leads the company, having taken over from founder and non-executive director Richard Greenhill. In the early days, in the mid-90’s, Shadow were primarily working on biped robots and soft pneumatic muscles, but it became apparent that things weren’t working out. So, they put their heads together and the concept of the human hand came up. That was nearly twenty years ago. So why has it taken them so long? “We’ve been looking around at ways to get additional resources,” explains Rich. 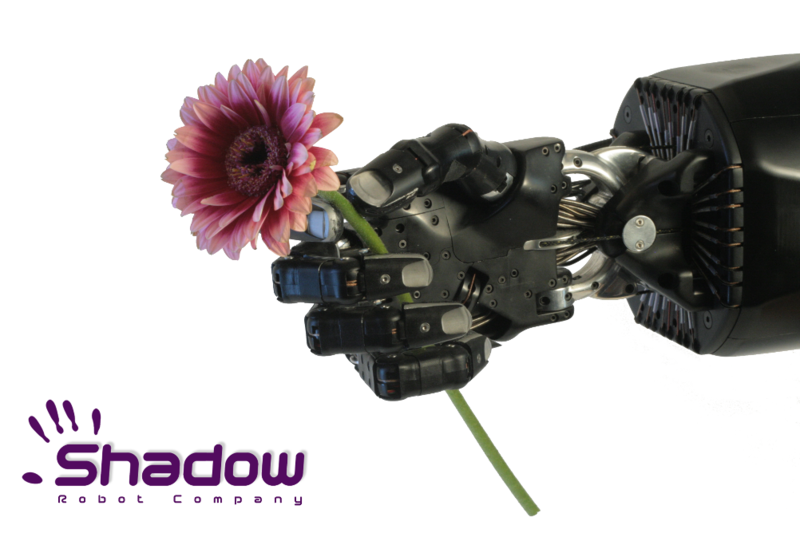 Shadow has become adroit at not only slotting its technology into the supply chain, but also fitting it into funding schemes in both the UK and the EU. 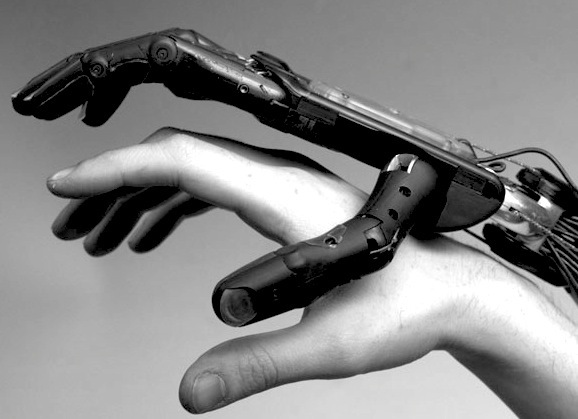 Some of the first applications for their hand included assistive technology. But, fifteen years ago, most of the other elements necessary – for the hand to be able to see, to navigate, to interact with objects and to communicate – were simply not there, which was a big problem. Recently, Shadow has revisited this space; it’s involved in a European project, RAMCIP, building an assistive robot for people with mild cognitive impairment. With advanced infrastructure, it’s now possible to enable a mobile robot, with a hand, to navigate via 3D mapping, to sense people’s emotions and handle objects. No one calls them crazy anymore. Applications in manufacturing are looking equally attractive, with the possibility of integrating the Dexterous Hand in a new generation of lightweight, relatively mobile, flexible and safe factory robots. The price point works too, as it’s comparable to the two-year fully loaded labour cost of an employee on a factory line. With both the domestic and industrial markets to consider, you’d think Shadow would have its hands full (pardon the pun), but there’s another sector beckoning too. Shadow’s business model is opportunistic in that the company looks for strong partners who have problems and European or UK funding calls to provide the finance to solve those issues. The big challenges are addressed, largely, with EU funding. For shorter term, more commercially focussed or more manageable problem areas, they target government agencies such as Innovate UK, assuming the partner organisation is UK-based. A recent example is a joint Innovate UK and Biotechnology and Biological Sciences Research Council-funded agri-tech project the company is involved in, AUTOPIC. 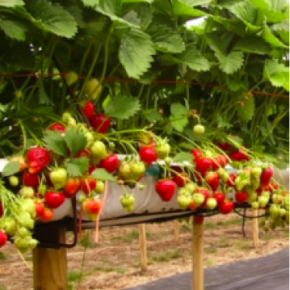 Led by the UK’s Harper Adams University, the project consortium includes BerryWorld, which is the leading supplier of berries to UK supermarkets. As might be expected, BerryWorld suffers from seasonal labour issues. The company is also very open to new technology. 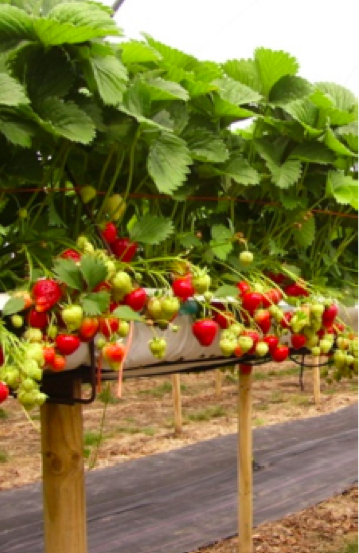 It’s already using innovative techniques that involve raising the growing area so that the strawberries are now waist height and rest on substrates instead of soil. Rich believes that this is a game changer; it’s opened the door to automatic harvesting. The system must also only pick grade one fruit, because, unlike apples, for instance, strawberries won’t ripen after they’re picked. There’s an impressive amount of technology involved in Shadow’s hand: 20 motors, 26 micro-controllers, 24 movements and 129 sensors. So, just how close is it to a real human one? What stands out from talking to Rich is just how multidisciplinary the work Shadow does is; it’s not just about the hands, the software, the hardware, 3D navigation and AI, it’s about supply chains, dealing with chefs, users and funding bodies. How would Rich advise a young start-up to approach all the work that needs to be done to get something like this off the ground? He makes it sound so easy. But anyone who’s attempted to build a robot of any complexity will know that it’s not. However, it is possible, and the robot chef, with his hands that were nearly twenty years in the making, is testament to that.